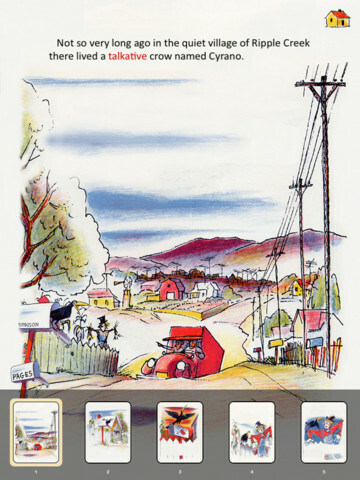 Auryn Inc. brings everyday favorite books to the digital world through their Auryn and Auracle applications. Some favorites include Where Do Balloons Go? by: Jamie Lee Curtis and I, Trixie, Who is Dog by: Dean Koontz. Many of these books can be used to work on speech and language skills. In this post, I will review multiple Auracle applications and show how they can be used in therapy. Then, scroll to the bottom for your chance to win one of the applications! Read to Me - Reads the book to the user but allows the user to turn the pages at his or her own pace. The user can press on the pictures to have the associated word shown/stated aloud. In addition, as the text is read aloud, the words are highlighted. Read Myself - The user reads the text, turns the pages, and presses the images on his or her own. However, he or she can press on the text to hear a word he or she does not know to have it stated aloud and highlighted. Auto Play - The application will read to the user and turn the pages on its own with the words being highlighted as they are read aloud. Personalize - You can personalize the application by changing the text and recording your own voice for each page. You can decide whether or not to play the original version or personalized version each time you play through the application. Auracle/Library - Pressing this button will show all of the applications developed by Auryn Inc. and the ones you have loaded on your tablet/phone. Pages - Once you begin reading one of the books, if you push the "Pages" button, it will show images of all of the pages on the application if you want to move between them. 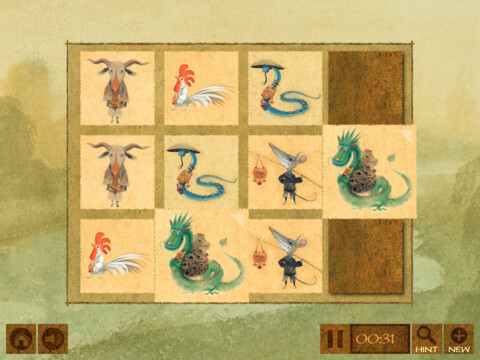 Some applications also have games associated with them, such as a matching game or coloring pages. Some of the applications also have animations to go with the images. 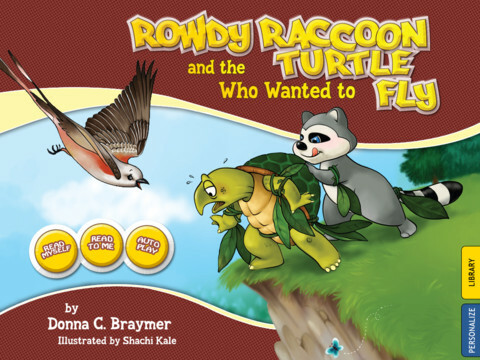 Rowdy Raccoon and the Turtle Who Wanted to Fly (by: Donna C. Braymer) ($2.99) - A story about a raccoon named Rowdy Raccoon and a turtle who met a bird with their friends when the turtle decides that he wants to fly. He tries using some leaves and other materials to create wings to fly. Teach children about which types of animals fly and which cannot. Discuss parts of animals and describe them (what they do, what they eat, size, color, etc.). Finally, discuss patience and accepting who you are using this book. Randy Kazandy Where Are Your Glasses? 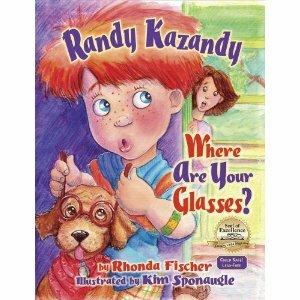 (by: Rhonda Fischer) ($2.99) - A story about a boy named Randy Kazandy who went to the eye doctor's office for the first time and receives a pair of glasses, but does not like them. This is a great story to help reduce children's anxiety prior to attending their first eye doctor appointment and wearing glasses for the first time. Discuss various vocabulary throughout the eye doctor appointment, why it is important to wear glasses, and who wears glasses that they know. Talk about the parts of glasses and the different sizes/shapes/colors they come in. You can even have the child decorate their own pair of glasses on a coloring page! 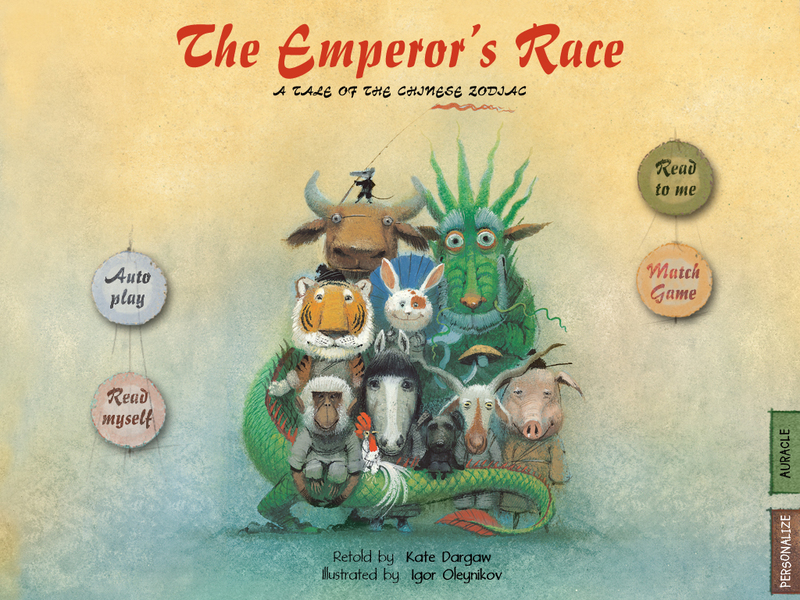 The Emperor's Race (Retold by: Kate Dargaw) ($3.99) - A story about how the different animals were placed on the zodiac for different years, by competing in a race, and also how the cat and mouse became enemies. This is a story about friendship, deceit, trust, teamwork, and persistence. The mouse shares a ride with the cat on the ox across a river to become first on the zodiac, but later pushes the cat off into the water. Discuss trust, teamwork, and what it means to be a friend. Describe the various qualities of the animals according to the zodiac. 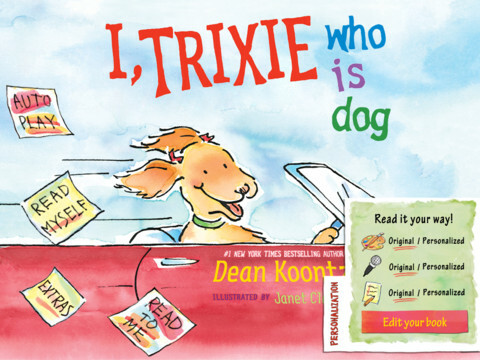 I, Trixie, Who is Dog (by: Dean Koontz) ($3.99) - A story about a dog named Trixie, who is happy to be a dog, but wants to drive and imagines driving different vehicles as well as where to go and what to do. You can discuss accepting who you are. Have your child write about what dreams he or she has as well as if he or she could drive, where he or she would go. Hurray For Pre-K! (by: Ellen Senisi) ($2.99) - This is a story with real-life photos of what to expect in Pre-K including playing, meeting new friends, entering the room, pretending, and more! The book is great to read to children who are just entering Pre-K to learn what to expect and reduce anxiety. Discuss different classroom vocabulary, how to prepare for the day (packing their backpack/choosing clothes), the classroom routine, how to interact with peers, what to do if the child feels upset, and more. Look through real-life images of other children performing various tasks. 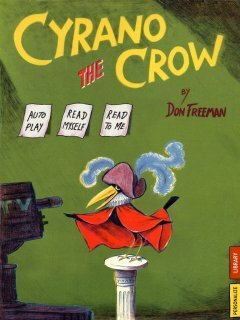 Cyrano The Crow (by: Don Freeman) ($3.99) - A story about a crow who enjoys imitating different birds, but when a talent show recruits him, he cannot make a crow call. You can discuss showing off and accepting who you are/being yourself. Discuss various types of birds, what they look like, what they sound like, and more. Miko "It Was Me, Mom!" 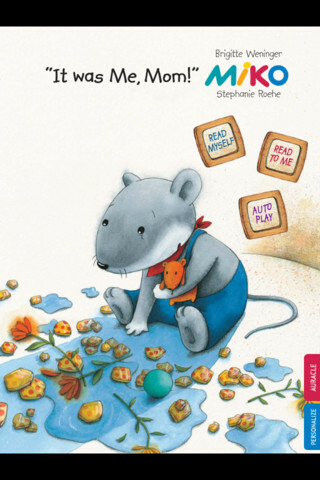 (by: Brigitte Weninger and Stephanie Roehe) ($2.99) -This is a story about a mouse named Miko who accidentally breaks his mother's vase and is scared to tell her the truth. Discuss lying vs. telling the truth, rules, fixing your mistakes, decision making skills, consequences, and emotions. You can focus on the facial features of Miko throughout the story and infer what is going to happen next. Have students think about different ideas for what Miko should do and the outcome for each. Of course, you can use all of these applications to improve articulation/fluency/voice skills by having students read the story aloud and also increase vocabulary related to the topic of the book. Many of these stories have great social messages as well (as stated above) and you can even personalize the stories for each student. In addition, you can use the "Personalize" option to have your child write the story in his or her own way. Each of the applications has a Lite, free version that you can try. I love that there are three options to read each book for those who can read and those who have difficulty reading/who are beginning to read. The fact that children can press on the images and see the associated word/hear it stated aloud is great for vocabulary development. 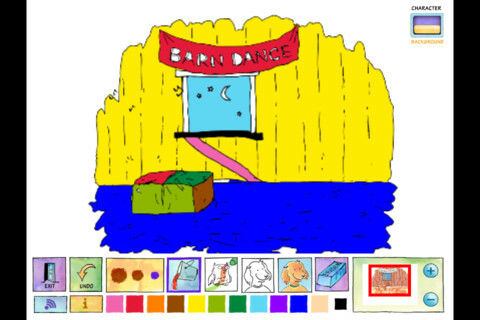 Games, coloring pages, and interactivity within the applications cause children to want to read the book applications over and over. Personalizing the application allows children to have a personal experience with the book and is great for children who need a book as a social story! In the Rowdy Raccoon and the Turtle Who Wanted to Fly book, some of the audio when pressing on images is a bit cut off. I would like to see that fixed so that children can hear the whole word/name of a character. 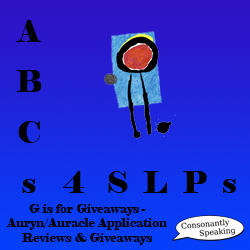 Consonantly Speaking was given a copy of each of these applications to give away. No other form of compensation was given. Come back soon for a giveaway of these great book applications!